What better way to start my Hawaiian vacation than by flying from Sydney to Honolulu with Hawaiian Airlines. Their departure time of 9.20 p.m. each evening was perfect for me so there was no need to study other airlines schedules. This timing meant I had the entire day to sort out my holiday wardrobe and pack my bags without the stress of rushing. 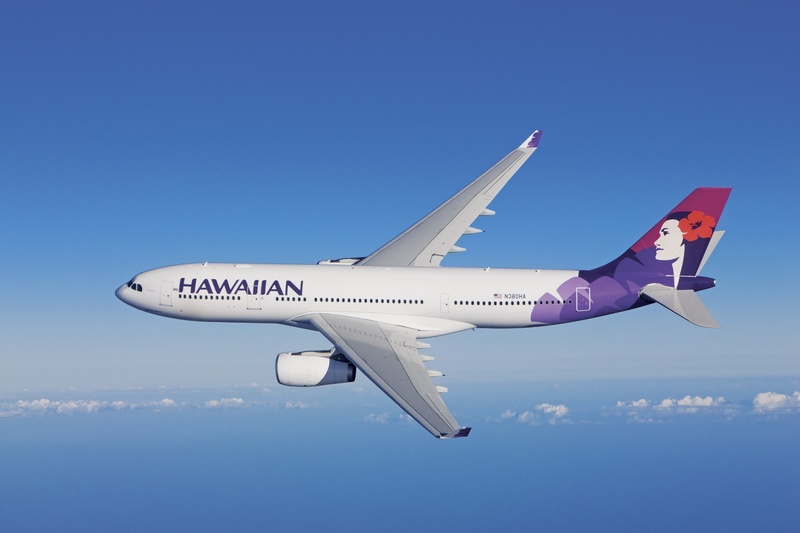 Another huge benefit for travellers from Australia is Hawaiian Airlines generous luggage allowance of two suitcases per Economy Class passenger. This is the only airline that I have ever travelled on which offers Ecomomy passengers such a benefit. Usually when packing for a trip I am trying to cram everything into one suitcase, then sitting on top wrestling with the clips and zippers as I try to close it. The Hawaiian Airlines two suitcase allowance meant I was able to pack my items into separate bags so my clothes were not crushed and did not need ironing when I unpacked them, the added space was also a real bonus to allow room for purchases in Honolulu where great bargains are to be had. Arriving at Sydney Airport, I was pleasantly surprised to see that there were none of the crowds that one finds earlier in the day, as there are only a few flights departing around the same time as Hawaiian Airlines, making navigating the airport, customs and security screening and even duty free shopping a breeze. We experienced Hawaiian Airlines friendly Aloha service the moment we arrived at the desk to check in our bags. We received a warm welcome and the ticketing procedures were soon completed. Once on board the plane, the friendly cabin crew who were dressed in Hawaiian Airlines uniform of brightly coloured floral print shirts, made us feel as though we were already in Hawaii. The new Airbus A330 had a layout of two seats on either side, with four seats in the middle which meant wherever you were seated, you only had to climb over one person to leave your seat, unless of course if you were sitting on the aisle. Seats were available in the bulkhead rows which offered more leg room. These bulkhead seats do attract an extra fee but I think they are well worth it, especially for those taller passengers who need the extra leg room. 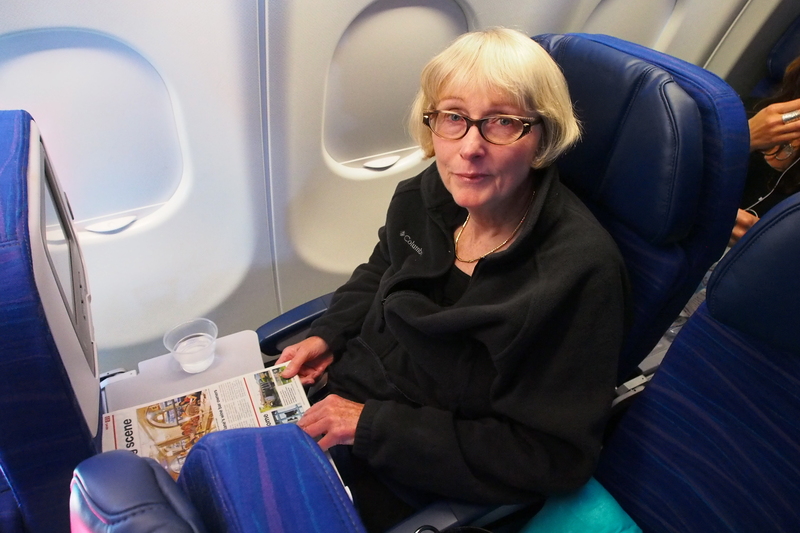 There was a Business Class section at the front of the plane, but no First Class. After take off, complimentary drinks were served, followed by the meal service. There was no choice for the meal however special dietary needs are catered for if the airline is notified on booking. The very tasty meal of salad, chicken main course and dessert was served with a choice of red and white wine, soft drinks followed by coffee or tea. After a refreshing sleep we were served breakfast of fresh fruit, yogurt, croissant and jam, juice plus tea and coffee. Complimentary movies, videos and games were available free on demand throughout the flight. The flight seemed to go very quickly and we landed at Honolulu around 11 a.m. the same day as we had left Sydney, due to crossing the International Dateline. Known around the world for its sheep, dairy industry and magnificent scenery, or not necessarily in that order, New Zealand is fast becoming a world leader as a producer of fine quality food and wine. I recently attended a demonstration of an innovative New Zealand product with a hard to forget name, Mad Millie Cheese Kit. Held at Neilson Park, the demonstration was presented by Danielle Dixon, who appeared as a contestant in season three of Masterchef Australia. 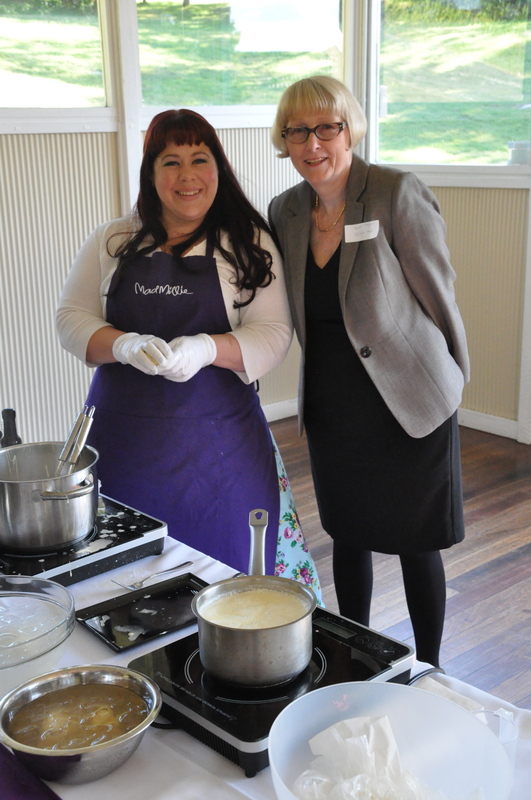 Danielle held us all spellbound as she made cheese making, look so easy and so much fun. Just to prove how easy it was, Danielle asked several members of the audience to come up and assist her. I am not known for my culinary skills so I did not rush to volunteer, but after watching the demonstration, I can’t wait to try making some cheese myself. Mozzarella appeared to be one of the easier varieties to make, so I think I will start with that. With their head office in Auckland, Mad Millie creates DIY food kits that enable the adventurous, and not so adventurous, home cooks to create many varieties of cheese in their own kitchen. These easy to use kits provide everything needed to get started, except the milk. Even the most inexperienced home cooks can create their own mozzarella, ricotta, mascarpone and feta to name but a few. Once they become more confident they can move onto other varieties such as camembert and blue vein. Cheese is made from souring milk by adding an acid such as lemon juice or vinegar or by using a bacterial culture. This causes the milk to separate into the curd, the solid part from which most cheese is made, and also the whey, which is the liquid. You are currently browsing the SANDRATBLOG.COM blog archives for November, 2012.